Here at Comfort Option, we pride ourselves on using the finest materials in our mattresses and, after 65 years of working with foam, we have access to some of the highest-quality materials on the market. Today, we wanted to take the opportunity to peel back the curtain and give you a glimpse into world of foam and some of the technology we use in the construction of our mattresses. Today, the spotlight is on a Comfort Option crowd-favorite: copper-infused memory foam. It's classic memory foam with the latest cooling technology and it's quickly become a workhorse of sorts in the array of foam that we use for our customized mattress constructions. So what is it? 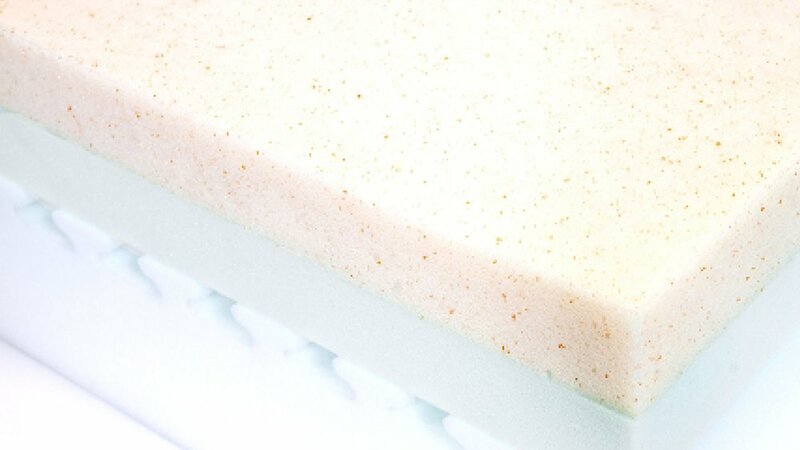 It's exactly what it's name implies: memory foam with flecks of actual copper infused throughout the foam. Why copper, you ask? Great question. If you've shopped around in the world of foam mattresses or mattress toppers lately, you'll likely have seen "gel memory foam" advertised. Many companies started infusing their foam with little gel beads to work for cooling. Sounds interesting and feels cool to the touch at first, but we've found that the little beads of gel tend to trap the heat after a few minutes, which obviously has an adverse effect. Copper, on the other hand, does not have this problem. As you likely know, it's a wonderful conductor, and rather trap the heat in a tiny little bead, copper rapidly disperses it throughout the mattress and away from your body, keeping your sleep comfortably cool throughout the night. Another added bonus of the copper is that it is naturally antimicrobial. Pretty cool, right? In short, if you love the soft, slow-recovery feel and pressure relieving properties of memory foam, but also want to ensure that you won't overheat while sleeping, our copper-infused memory foam constructions could be just the ones for you. With the C-18, C-10, C-AIR, and C-FLEX constructions all using this material, we've got your options covered. Take our quick, 6-question Comfort Test now to begin the mattress customization process!